I just ran through a quick survey of my wardrobe to see what countries the majority of my wardrobe was from. I first turned to my closet which consists of quite a few of fast fashion brands, as well as private label brands that belong to places such as Nordstrom, as well as other brands such as Madewell, J.Crew and Free People. Collectively, most items were listed as “Made in China” with a few “Made in Indonesia” and one shirt “Made in Korea”. 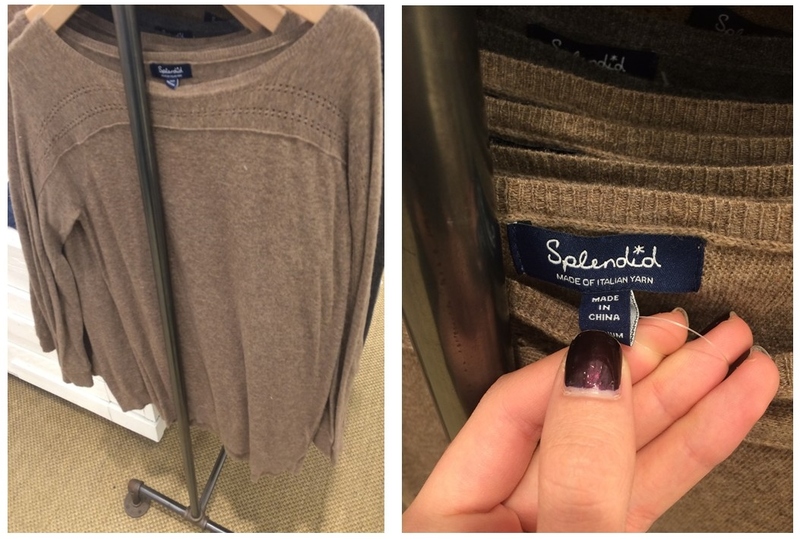 I was hoping to find more of these “listed” countries on the clothing tags. As we have discussed in class with the topic of the global supply chain–the products we buy come from all corners of the globe, the place it was assembled may be the only country that is listed on the tag. I then turned to my collection of athletic wear which had many “Made in Indonesia” and “Made in Vietnam” listings. Again, I was hoping to find a list of two or three countries. The one thing I noticed that was different from the closet clothes was that the athletic wear commonly differentiated, “Made in Indonesia, Fabric of Indonesia” or “Made in Vietnam, Fabric of Vietnam”. A few of my athletic shorts had this format. It makes me think about the reasoning behind how a brand choses to list the country of origin, ie. listing final country, differentiating where it is made vs. where the fabric is from, or listing all countries involved. Do some countries require that their contribution is always listed on every product? What legal factors are involved in this decision? Lastly, I looked at a more complex textile/apparel item in my room: a North Face backpack. I was so surprised to see only one country listed, “Made in Vietnam”. With all the zippers, various closures, and high endurance fabrics used, I was almost certain I would find more than one country listed. I will continue to search my wardrobe day by day to see if any item shows a true list of contributors. Thank you danamandell! Your findings are very interesting! As I know, currently the country of origin of a clothing is typically based on where the product is cut and sewed, not where the yarns & fabrics come from. But for some brands, which try to highlight the quality of their fabrics or fibres, they may intentionally provide more such information. Nevertheless, it is amazing to see your closet includes so many different countries already! I just did a quick survey of about 40 of my shirts and was surprised at what I found! I was expecting to see most were made in Bangladesh, based on our recent conversations, however the majority was made in China. I knew I had a few pieces made in the USA, but I was surprised to find others (from Urban Outfitter brands) as well! Some surprising countries to see (not mentioned in our discussions) were Peru, India, Italy, Morocco, Romania, Sri Lanka and Turkey. Other countries listed were Cambodia, Indonesia, Mexico and Vietnam. There was only one piece from Bangladesh! I was happy to find that 7 of my shirts were made in the USA (brands included Michael Stars, 3 Dots, Silence and Noise and Kimchi Blue). Because none of my pieces are from huge fast fashion brands like Forever 21 or Zara and I have a wide variety of retailers and brands for my clothes I think this is why my range of countries are so large. Also, does the product label mention anything about the source of fabrics or yarns? I just quickly did a survey of most of the tops in my closet and I was surprised for the most part. I buy most of my clothing from stores and brands; Free People, Nordstrom, Bloomingdales, and boutiques in the area. I found that a lot of my clothes had labels saying “Made in China.” After talking through out this semester about how textiles and apparel factories are really all over the world and not just in China, although it really may seem like it. There were a couple tags that said “Made in Thailand” and “Made in Bangladesh.” I was not surprised about my clothing made in Bangladesh as we have been talking about that all semester. I did have a few more expensive pieces I have bought through out my life from boutiques and 2 of them did happen to be “Made in USA.” I found that very interesting because we have learned about how people do not realize that labor costs can be cheap in the US and it can be cheap to produce apparel here. I looked in my closet and I came across many different countries on my clothing tags. I saw a lot of “Made in China” and these garments were my more inexpensive pieces of clothing. I also saw a “Made in Vietnam” and “Made in Thailand”. My few pieces that said ” Made in USA” were more expensive pieces of clothing and I now know why these were more expensive to purchase. It is more expensive to manufacture clothing domestically. When I am in stores and things are pricey I am now going to look at the tag and see if the country in which it is manufactured has something to do with the cost. FASH455 has made me more aware of my purchases. I looked my clothing tag, and I think it is interesting. I found many of my clothing are made in China, whether clothing is cheap or expensive. Also, some of clothing are made from Vietnam and some other Asian countries. 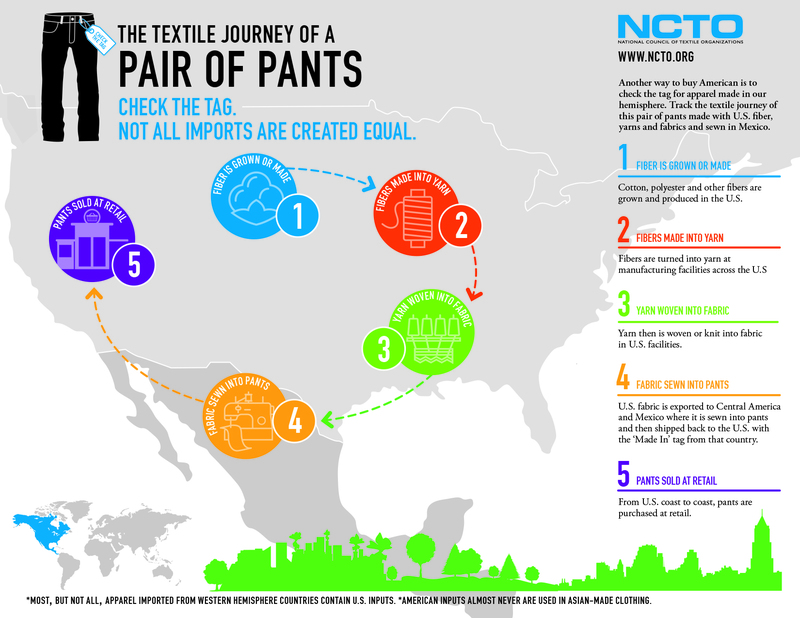 This shows me supply chain in Asian countries is powerful, and a large number of clothing come from Asian countries. Also, companies sourcing, design, manufacturing, and retailing in different countries, and taking advantages from different countries. I think it is very smart, and the fashion industry is very successful. Globalization is important to today’s fashion industry, and I think globalization is better than manufacturing domestically because increasing the whole economy in the world. Moreover, bringing all ideas together to create the fashion industry. After looking through my closet, I was surprised about what I found, but at the same time I was not. Most of the clothing I looked at were jackets or tops from Anthropologie, Free People and Urban Outfitters. I was not surprised to find that the majority of them were made in China. This makes sense considering the leadtime and speed is much quicker than if the products were to be made in the United State. Also, it is much cheaper to manufacture there and we have learned a lot about this in class this year. I was honestly a little surprised to find that not one thing was made in the United States. I know that not many products are, but it shows a lot about why the United States is losing jobs because all these companies care about is speed and low cost. Last year in my sustainability class I remember learning a lot about the tags on our clothing and why they were made in certain places. The other 5 countries that I listed above do not surprise me because I remember my class shouting out places where their clothes were made from and it included all of these countries. The cost for manufacturing in these countries is significantly lower that manufacturing in the United States. But these companies don’t realize what they are putting these poor workers through in the factories in developing countries. After investigating my closet, I wasn’t too surprised with the results. A lot of my clothing that is hanging are from retailers such as Zara and Forever 21 so most of those tags were “Made in China”. I was surprised to see a lot of “Made in Vietnam” as well for those items of clothing. A few of my more expensive sweaters I’ve acquired from working at Ralph Lauren, were “Made in Peru”, as they were made with authentic merino wool. Another thing that stood out to me were my clothes that I purchased from Zara specifically. Three of the items I looked at were made in Morocco, Portugal, and China, none were made in Spain. I thought this was interesting as Zara is originally from Spain and boasts vertical integration as well as owning their own plants; however, none of the pieces I had purchased were made in Spain. It was interesting to see, in my own closet, the effect of price and thus, manufacturing location. The Ralph Lauren sweaters were more expensive due to brand name, quality, and sourcing in Peru where manufacturing is much more slow-paced. The clothes that came from fast fashion retailers were outsourced to places like China and Vietnam to drive a low retail cost for the consumer. My wardrobe like the other students who posted their replies, has many nations represented. Mostly, I have China. I have mostly fast fashion clothing and I am always looking for a good and cheap deal. Therefor I only found a few clothing items MADE IN THE USA. However, this really does not upset me. Of all the clothing made internationally that I have I think it is well made for the most part and good quality, which is something many people might not agree with when a shirt comes from China. Maybe I am just lucky or maybe I take really good care of my things, but I do not have any issues with outsourcing labor to other nations overseas. As long as the people are being well treated I think it helps both nations economies and gives people jobs and an income for families. Other than China I have found other asian countries that produce my clothing. Such as Bangladesh, Vietnam… I saw other nations such as Peru, India, Italy, Germany… but I was overwhelmed by how many of my clothes were made in asian nations usually third world nations as well. very interesting findings! when shopping in the future, you may also check the clothing label and see if there are any interesting trends. As I notice, there are more “Made in Vietnam” and “Made in Bangladesh” on the sales floor. However, for more sophisticated products (use fabric heavy), “made in China” still dominates. Custom Brand Apparel is a private label Apparel manufacturing company that has been catering apparel Customized T shirt ,Polo ,Hoodies Tanktop producers. After checking my closet, I saw a lot of “Made in China,” “Made in Vietnam,” “Made in Peru,” and a few, “Made in USA.” However, the countries I saw didn’t surprise me because I shop at Zara, H&M, Nike, and J Crew. I knew that these brands were made in those countries. The clothing that I have bought from companies who produce their products abroad have very good quality and have lasted me a few years. I like buying clothing made in the US, but that is not a deal breaker for me. If I am comparing two similar items, and one is cheaper or has better quality, I am more likely to pick that one rather than choosing it based on where it was made. I think that clothing and textile trading is important and it is helping to grow developing countries by having businesses and factories there. This class has made me more aware of the world around me, the clothing I buy, and how it affects the economy. Based on the previous lectures, we learned developing countries are usually the apparel exporters in the world because their resources and technology are not abundant, but abundant in labor. 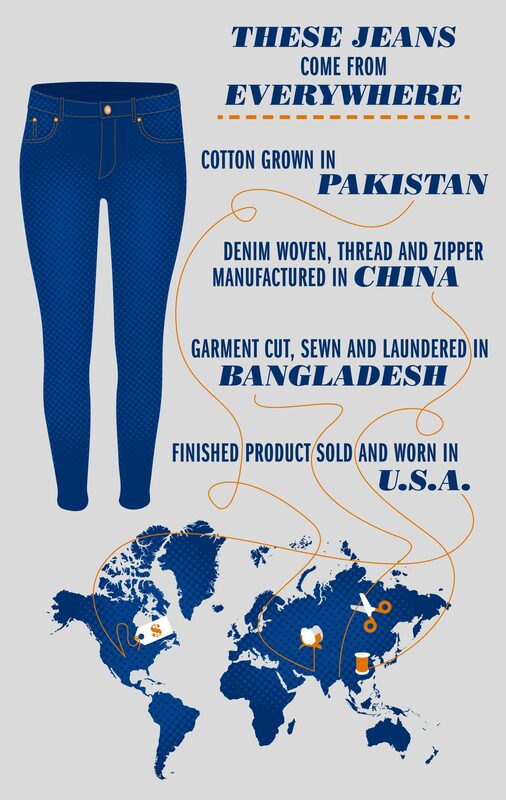 Therefore, it is not surprising that lots of clothing I have been made in developing countries, including Bangladesh, Cambodia, China, Vietnam, Pakistan, Indonesia, Thailand, and Haiti. Especially, lots of my garments bought from fast fashion companies like H&M, Uniqlo, GU etc. To me, I usually do not care about where did the clothing is made, due to the price and style are the main concern as a consumer. Therefore, globalization benefit to developing countries because consumers have the needs of low-price products that lead fashion brands contract with manufacturers in developing countries for lower production cost. After looking through my wardrobe especially focusing on blouses and summer dresses I am surprised by my findings. Most of my garments were actually made from the same places including China, Indonesia, and Vietnam. I have looked at care labels before to know the fiber content or care instructions, but never actually looked at where my garments were made. 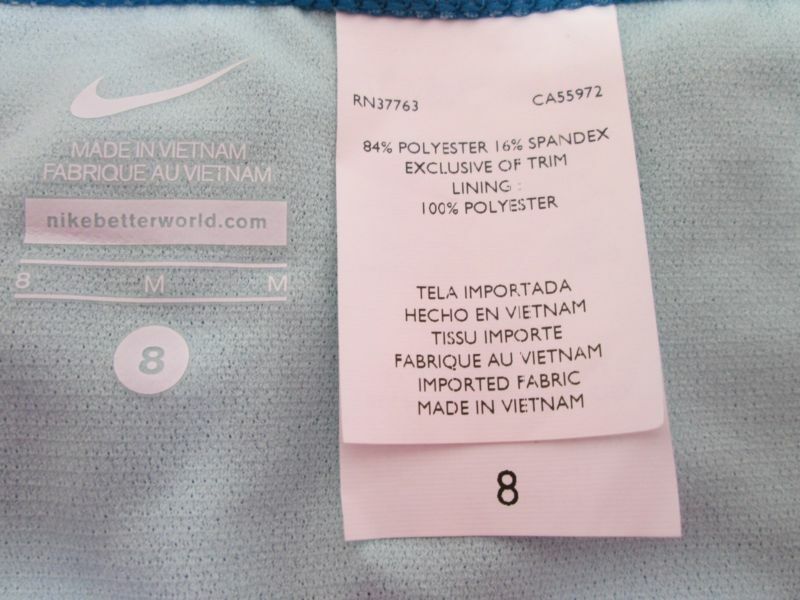 I was surprised by how many of my garments were actually made in Vietnam. I am curious to know when sourcing from Vietnam actually became popular because most of these garments I have had for a few years. I am very surprised by the fact that only a few of my garments were made in China especially because that is one of the most popular sourcing destinations in Asia. It was also interesting to see that only two of my shirts were made in the USA with imported parts and both of these shirts were from the place. They were from Nordstrom in comparison to other products from Loft, and H&M. Nordstrom is typically seen as a higher quality brand with pieces that are more expensive. Since the products that are sold in Nordstrom stores are typically more expensive it is logical that these products would be produced in the USA. The apparel industry in the US still exists, but because it is a capital intensive country it is not as popular as it was in the past. More expensive garments are produced in the US and these shirts were more expensive. After looking through my clothes I realized i have a wide range of products from a wide range of sources. I found this to be interesting to see where companies sourced their products form even if they were in the same product category such as jeans. I have similar jeans from four different stores and they were all made in four different counties even though the fabrication and structure of the jeans are very similar. My jeans were made in France, Spain, China, and Vietnam. My made in the USA pieces were more expensive purchases, which was what I expected. I was happy and surprised to see that my wardrobe is sourced from many different countries around the world. I’m always curious about this topic even before I take this class! 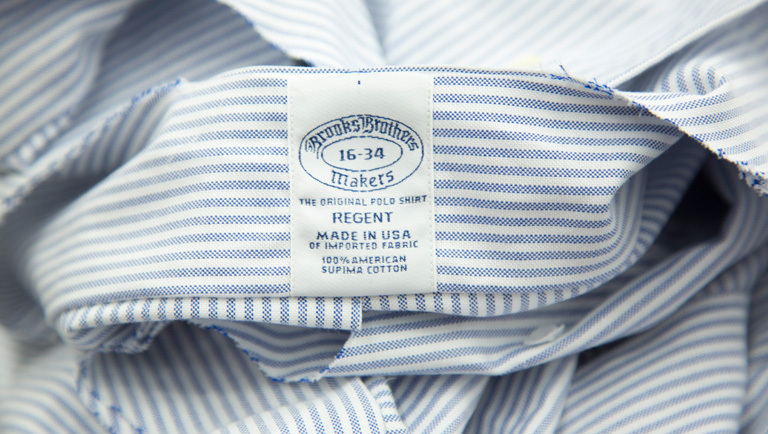 Many apparel products have long labeling nowadays specifying the source of the material used and where it’s manufactured. This applies to fabric as well! Made in ” ” with imported fibers from ” “is always something that I’m conscious about because as a design student, I noticed that fabric stores would increase the price of the fabric if the label has developed countries(EU, U.S.A, Japan) listed in it. 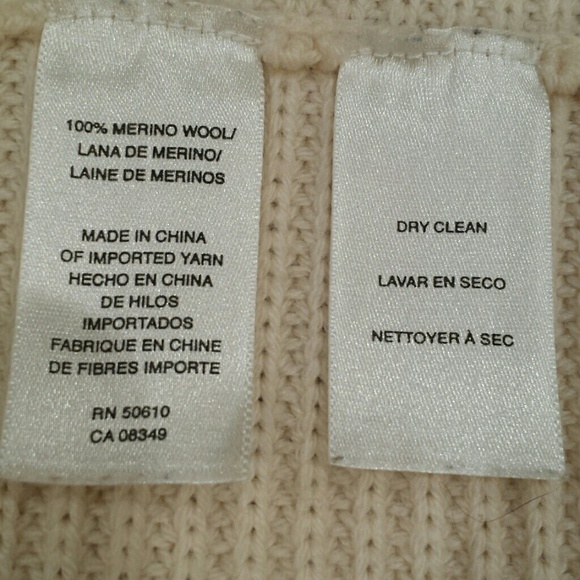 For instance, a fabric that has the labeling of ” Made in China with imported Merino wool from Italy,” will be priced higher than a fabric that just simply labeled as “Made in China.” Besides educating consumers about where each products are sourced from, I noticed that businessmen also use this point as a marketing tactic to raise the prices on the imported goods. After looking through my closet I noticed that most of my clothing had the label “Made in Vietnam” or “made in China” which is pretty consistent to what we have been learning in class because these two countries are major exporters of apparel. I was surprised to find some tops that were made in the Philippines or made in Taiwan. I feel like those are two countries that are not huge exporters so I was surprised at how many items I actually had that were made there. Not surprisingly, many of the garments in my closet are made in China but I did find items from the United States, Italy, Vietnam and Indonesia. A pashmina that I bought in Italy was listed as “Made in China”. The overwhelming majority of major name brands such as American Eagle and Forever 21 manufacture in China. Various items from Victoria’s secret are made in Honduras , Tunisia and China. I recall seeing tags that listed different parts of the garment or shoe manufactured in different countries but could not locate any for this exercise.